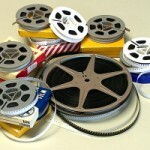 Everyone has numerous VHS/Beta tapes of family memories stored around the house. The problem with these tapes is that over time they will deteriorate and eventually the tape breaks, losing all of your videos forever. 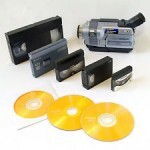 Transfer your old VHS/Beta tapes to DVD before they are lost to wear and tear or before your VCR breaks. Allow our staff to preserve those old home movies that you found at your parent’s or grandparent’s house when going through the attic. Saving those memories of your parents, grandparents and great-grandparents in a digital format allows future generations to connect with family. 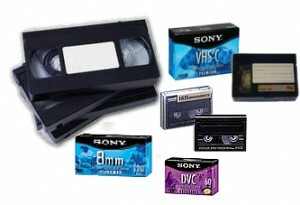 We all have those camcorder tapes of vacations, birthdays, weddings and other important occasions stored in boxes, and we always intended to transfer them and organize them. Allow our technicians to convert them to digital format for you, making organization that much easier. Do you have that video that would be great except for this scene or that person saying the wrong thing at the wrong time? Do you have hours of video from that special vacation and would like a shorter video of highlights to share with family and friends? Check out what we can and can’t do to make your video memories the best they can be.